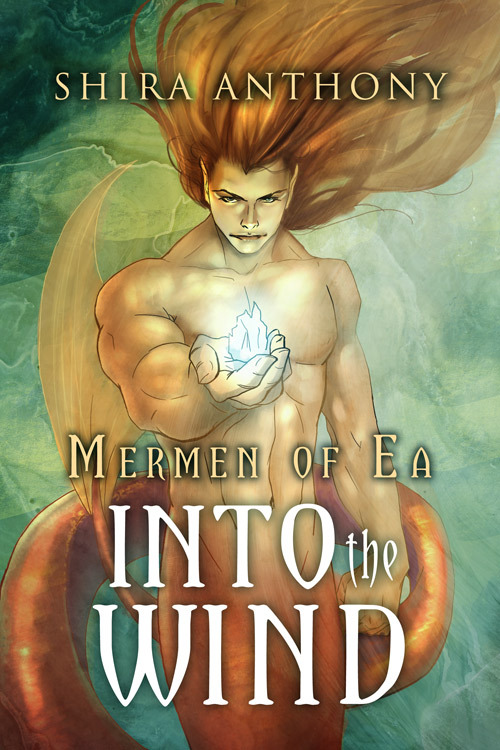 Three more days until the release of the second Mermen of Ea Series book, Into the Wind on Monday, May 5th! I’m counting down with a contest that ends this Sunday, May 4th, at 11:59 p.m. EST (one minute before release day!). You could win your choice of a cool, nautical leather wrap watch, or a signed paperback copy of Stealing the Wind, the first book in the Mermen of Ea Series. US readers only for this one, please. 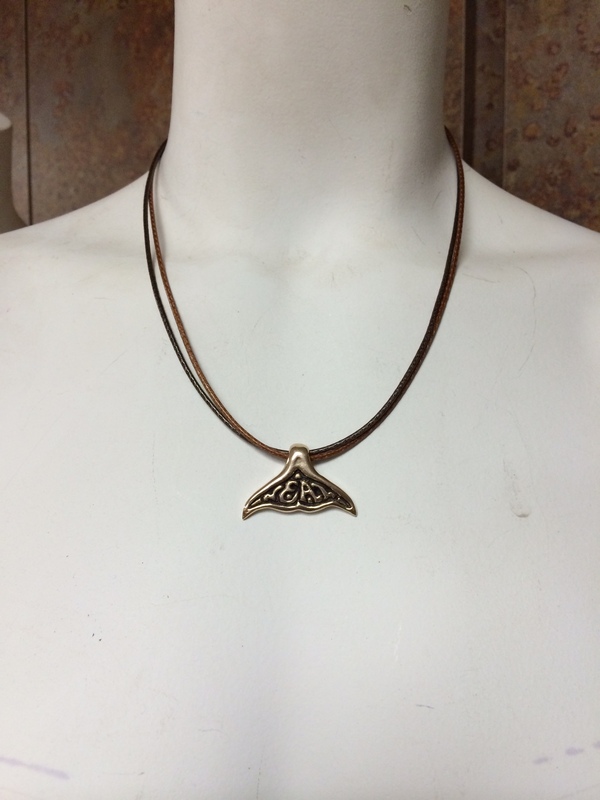 including a handmade EA tail-fluke pendant by the talented Martin Brodour. Other prizes include a Mermen of Ea gift basket, an autographed copy of Stealing the Wind, and some more goodies suitable for non-US readers, including Dreamspinner Press gift certificates and ebooks. 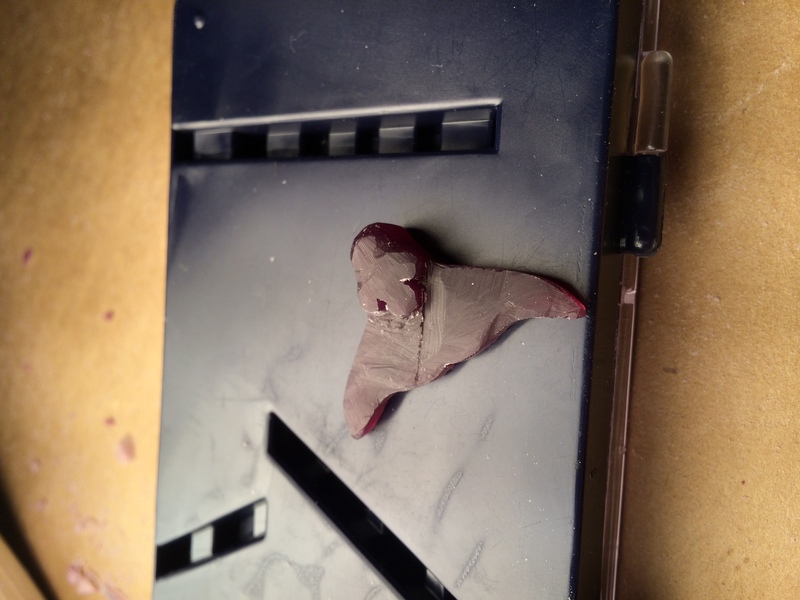 So to get the party started, I’ve invited Martin to share a bit about his artwork and also share some photographs of the process he used to create the pendant. Don’t forget that, starting Monday, you can enter to win this gorgeous piece of art. PS: Martin’s going to come back and share some of his writing with us! Can’t wait! SHIRA: Martin, your artwork is so amazing. Can you tell us a little about how you got started in the visual arts? class, but I never really took it seriously. I got a job in a business office, but never stopped making art. Fast forward a few years, and the office moved to a larger city, and I was left without a job. My partner told me that I should go back to school, which sounded great, but I didn’t know what to study. He said, “You love art, so study art!” And that was that. This is my second year in school, and my second semester in the jewelry program. My professor really pressed me to consider jewelry design and metal fabrication as my major, and said that I “have an intuitive talent for it.” I went and changed my major that same day. make all the difference. Can you tell us a little about what a typical school day for an artist is? the iron maiden locket that I recently finished, it took two class days to solder the hinge, and a class day to the attach the clasp on the side. A lot goes into coming up with ideas for projects, because I have to think of how it will look in three-dimensions, and a lot of time goes into preplanning every single step of a project from start to finish, or risk making a mistake that can ruin the entire piece. When I write my schedule out like this, it makes me really sad for some reason. SHIRA: Sounds like you have a lot on your plate! I know that can be overwhelming at times. But I think it’s wonderful to get a glimpse into the creative process and it’s pretty amazing how much time and effort goes into the making of a single piece. More to appreciate! And I hear that, in addition to your art, you’re also an aspiring writer. What genre of stories do you like to write? wouldn’t mind taking a shot at writing a horror story at some point in the future, as well. SHIRA: What kind of stories do you like to read? MARTIN: Other than yours? Haha. I like reading a lot of different genres from horror to fantasy, and urban fantasy, to books about ancient weapons and customs of China and Japan–I don’t know how I got into those. Since I have to read a lot of non-fiction novels for my classes, getting away from that genre, and escaping to a book that takes place outside of this world is a real treat. I like to read stories that I can’t put down, even if it means that I am cutting into sleep time. I love reading books with excellent characterization. To me, a book or story that creates characters that I believe are alive and breathing somewhere is the epitome of a well crafted story. SHIRA: *blushes* Thank you! I’m definitely with you on the characterization. Characters make the book, IMO! 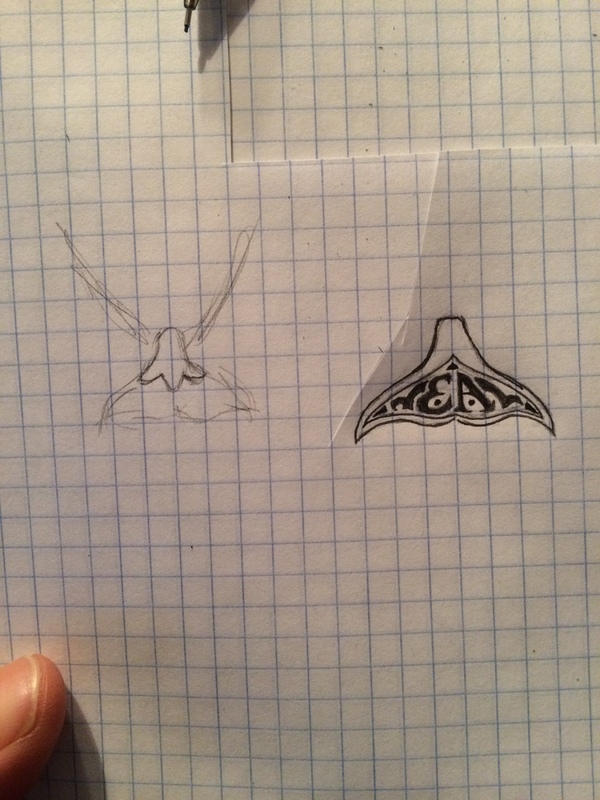 So, can you take us through the process of creating something like the pendant for the “Into the Wind” giveaway? How do you come up with the idea for a piece? How do you go about making the actual piece of art (what are the steps)? letting it cool, I placed the tube in a machine called a centrifugal caster. 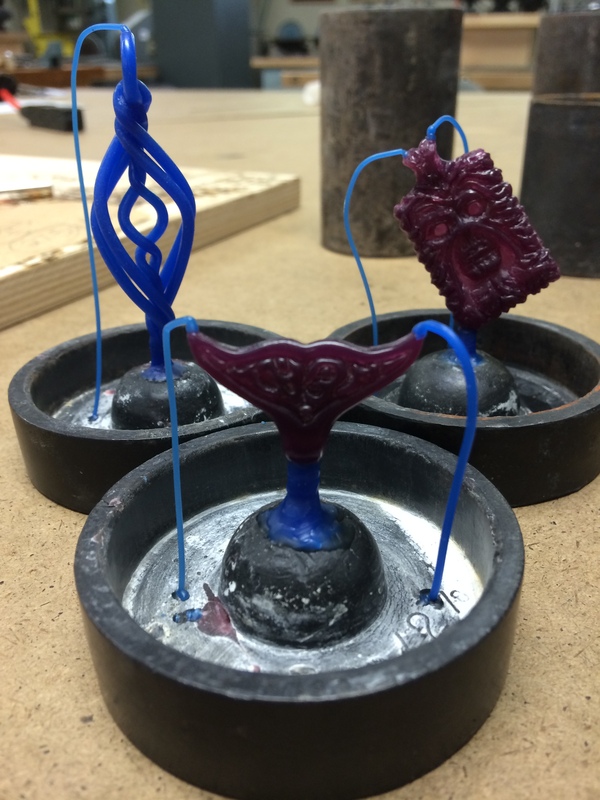 Then I melted the metal, and released a switch on the machine, which flung the metal into the mold. A few minutes later, the piece was cool enough the dig out of the plaster. 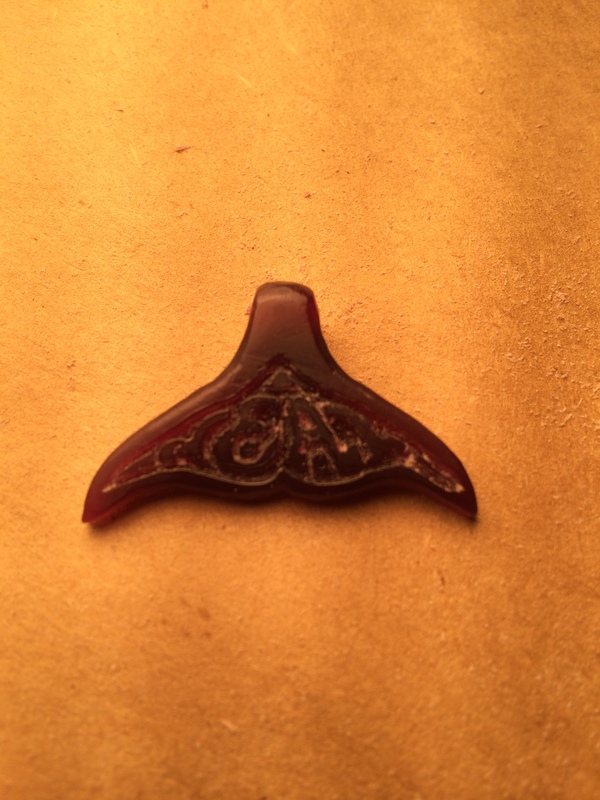 I filed everything on the piece smooth again, and then added a patina, which turned the piece black, then polished it. And that was it. SHIRA: What do you see yourself doing with your artwork in the future? MARTIN: I would really like to make more pieces to sell. To be honest, it never occurred to me that people might want to buy my work, be it drawing, painting or jewelry, and it wasn’t until recently that people started requesting work from me, so I would definitely like to set up a little online store. I still love making custom pieces–especially nerdy stuff–so I would definitely want that to be at the core of my business. Long-term, I really want to teach a jewelry class at my college. I think I would enjoy that. SHIRA: Can we buy your art? Where? MARTIN: I don’t have a website set up for purchasing work yet, but if anyone would like purchase anything I have on hand, or would like to consult with me on a piece they have an idea for, I would be more than happy to see what I can do for them. I can be reached by email at mbrodour@gmail.com, or through Facebook. 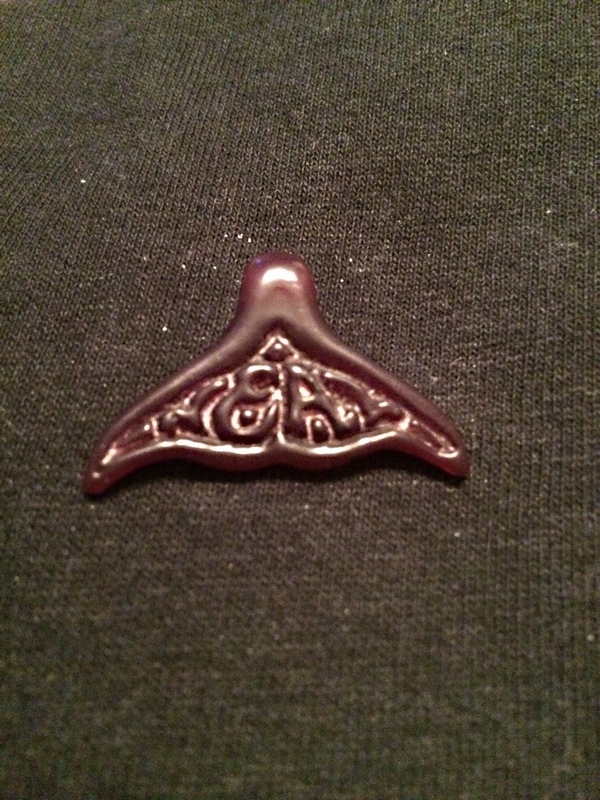 SHIRA: Thanks again for joining me today and for creating the Ea pendant! I can’t wait to see the finished piece, and I know you’re going to make one lucky reader very happy when she or he wins it! It is such a beautiful piece! I will have to email you to find out how much you charge for a custom piece. I’ve been looking for something personal for my girls. The book sounds amazing. Very pretty jewelry. Unfortunately I don’t feel comfortable giving out my actual address online.But I would love to win a dreamspinnerpress GC or an ebook as I haven’t read anything by you yet. Thank you for the giveaway. That necklace is amazing. You can tell the whole process was carefully done to ensure the end product was perfect. If that’s not art I don’t know what is.